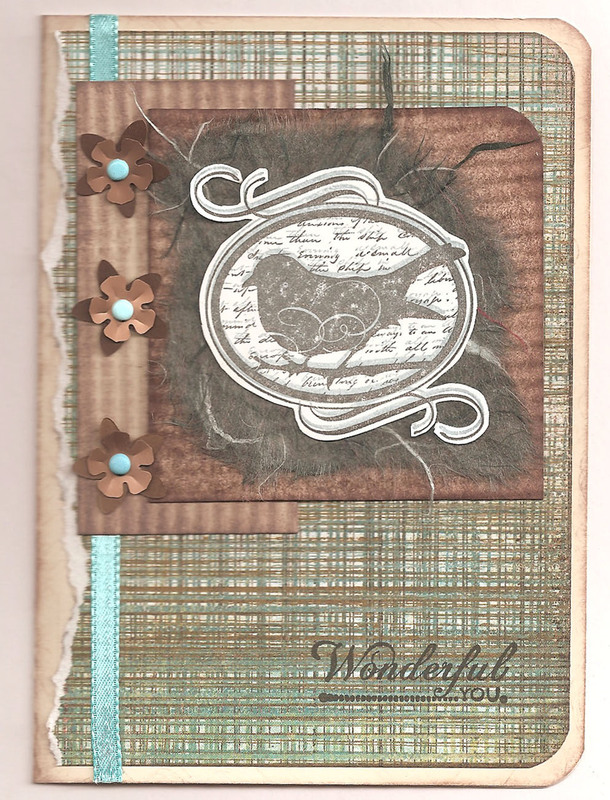 I made this card with a new set of Hampton Arts stamps that I picked up this weekend. This card is a product of our craft get toghether last night. Had a great time with my family. Gotta love 3 day weekends! I love how the flower centers and ribbon match. It just pops.